An oceanic news and research podcast. Find out what's happening in our oceans with us: Nick, Allie, and Raye! In this episode, Nick and Allie discuss baby fish eating plastics and amphipods with aluminum shields. The ocean is loud! Do local citizens hear? In this episode Raye and Allie are back to talk about ocean noise pollution and how management could improve with local ecological knowledge. In this episode Raye and Nick talk news! Raye does an orca mash-up exposing her wish to be aquaman and Nick talks the dangers of online conference phishing. In this special episode of OCTOPOD, Raye and Allie interview Tharaka Sriram founder of Ocean Education. She recently traveled to 17 countries in 11 months to learn about the management and effectiveness of marine protected areas. Listen to learn more about her story! Allie and Nick talk dirty on bird poop loving corals and the antiquated use of p-values. Rate and subscribe! People prefer happy news. Who knew? Raye and Allie bring you this episode of OCTOPOD! Allie talks about how to succeed at twitter and Raye brings you an Australian news mash-up. 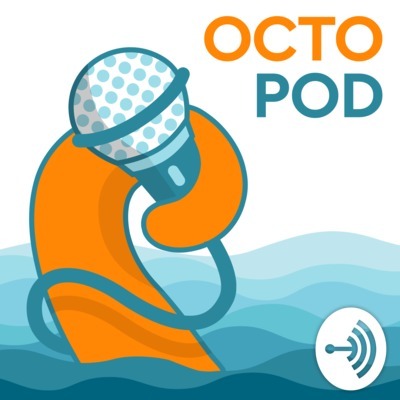 On this episode of OCTOPOD, Allie shares the story of somebody's life-time and Nick describes a new MarXiv paper on the politics of migratory marine species. Allie summarizes her new favorite paper on the aesthetic value of the GBR and Raye talks about seafood fraud. Nick and Allie bring us our weekly news and literature, discussing use of imidacloprid on shellfish beds and how fishing communities can adapt in climate change driven waters. Can anybody find me some Goby to love? In this episode Allie talks about vulnerable fish in the aquarium trade and Raye brings up probiotics for corals. In this episode, Allie and Nick are back! Allie discusses the effectiveness of the ESA for marine mammals and sea turtles, while Nick brings listeners up to date on what's been happening around OCTO. A MarXiv Surprise with Sea Cucumbers Inside! In this episode it's Raye and Nick again. Nick describes some exciting MarXiv news and realizes he has commonalities with Raye over sea cucumbers. In this episode, Raye and Nick discuss the insider revolt at Elsevier and then jest over musical oceanic earworms. In this episode Allie describes a fascinating new paper that can be found on OpenChannels and MarXiv! Then, Raye and she try to understand property law. Did their masters degrees in Marine Policy teach them this? Listen to find out. The Ocean Cleanup is back in the news again, because it broke: https://www.theoceancleanup.com/updates/wilson-to-return-to-port-for-repair-and-upgrade/ Think your bamboo cloth is green? Turns out, probably not. It's most likely rayon, which isn't that great for the ocean at all: https://en.wikipedia.org/wiki/Rayon Allie gives a sneak-peak at all the new OCTO services coming online in 2019. We're also re-naming the MEAM newsletter to "The Skimmer" -- if you have content you'd like to see covered, contact Sarah Carr at skimmer@octogroup.org. Lastly, are there academic papers you'd like to read but can't access? Give the MarXiv Bookmarklet a try: https://www.marxivinfo.org/request. We'll contact the author to ask that they share a copy in MarXiv so you (and the world) can access the paper for free, legally, forever and ever. Jellyfish live in deathtraps. You're welcome. Episode 21 has Raye and Nick talking realities of the Ocean Cleanup Project. Agree? Disagree? Let us know! Raye and Allie host episode 20 of OCTOPOD. Allie talks about the harmful effects of algal blooms on shellfish in the UK, while Raye brings up both good new and some bad. Additional mentions at the end for an upcoming webinar and volunteering to become a MarXiv ambassador! It's Raye and Nick for episode 18! We cover a recent news update about heating oceans, aggressive farmersfish, and discuss a MarXiv summary on google trending words in Chile. Can you hear the heat? It's Allie and Raye again with episode 16. The world is heating up and human's are unsure what to do! At least there's relaxing sounds of algae (or eelgrass) to listen to in this episode as we give a brief shout-out to Montana State University's Acoustic Atlas. Allie and Nick discuss the latest issue of the MEAM newsletter, which interviewed global experts on the field of marine ecosystem restoration. Allie and Raye bring up topics surrounding education (tools and projects), while Nick informs listeners on the importance of repositories, plus...murder?? Plastics are reliable, our planet is not. In the unlucky #13 episode, it's just the girls. Allie discusses a Japanese deep-sea plastics database that's been around since the 80s and Raye wonders how to get people to care about Climate Change. In this episode we discuss revaluation. Revaluating sea-level rise, migration, turtles, recycling, and science itself. In this episode Allie describes why women are important in fishing communities, Raye becomes a little too excited about microbes, and Nick discusses the EU's plan S.
In episode ten, Nick describes two MarXiv summaries, while Allie shares literature on the High Seas, and Raye brings a sad but hopeful note with news on the Salish Sea residential orca pods. In the ninth episode of OCTOPOD we discuss the latest in vessel noise on marine mammals, beach nourishment, and the newest in fish tracking technology. As well as, Nick brings up some MarXiv summary classics. Do you really know p-values? If you've ever taken a statistics class you most likely have learned about p-values. But were you actually taught what they really mean? Special guest Mike Hay from OCTO explains. 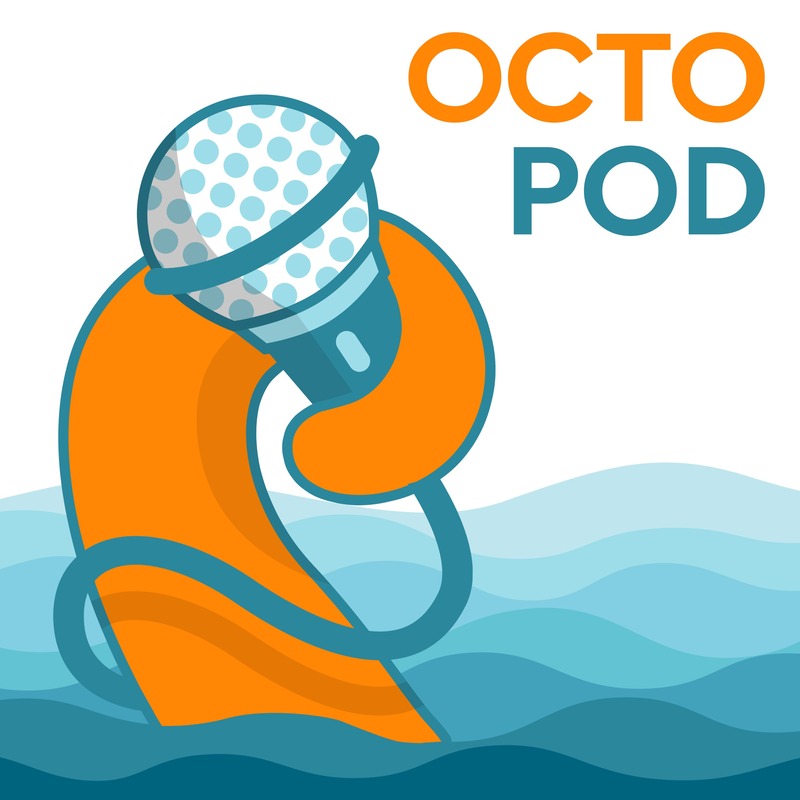 The seventh episode from us octopodians details the revamping of certain legislative bills, and discusses the newest MPA News which focuses this month on marine debris! Among other topics. Enjoy! Nick and Allie discuss the ocean clean-up project and what it actually means. What ecological "law" is and how aquatic mammals are being used to catch other animals. All this and more in Episode 6 of OCTOPOD. In episode 5 of OCTOPOD, Allie and Nick discuss new information about Australia's GBR "Rescue Fund," and bring up the importance of trust and money. Allie and Nick are joined by John Davis, Editor of OCTO's MPA News newsletter, to discuss the May 2018 issue of MPA News focuses on "the continuing debate over the value of large vs. small MPAs, and what it means for the field." You can read the new issue of MPA News for more information on this topic at https://mpanews.openchannels.org/mpanews/issue/may-2018-196. We also cover a new MarXiv Summary which will be available soon at https://www.marxivinfo.org/summaries. Raye and Nick discuss the May 2018 issue of the Marine Ecosystems and Management (MEAM) newsletter, which focuses on culturomics. Learn how scientists are mining social media, like Flickr and Facebook, to aid marine conservation efforts. You can read the full issue of MEAM at https://meam.openchannels.org/meam/issue/may-2018-117. This week's episode of OCTOPOD fills you in on some cool news, like Snot Bot, Australia's pledge for funding to rescue the Great Barrier Reef, and Hawaii's ban on coral-harming sunscreens. Learn more from the OC Overview at https://www.openchannels.org/news/oc-overview/oc-overview-week-april-30-2018. We also covered two new MarXiv summaries: one focusing on social capital in fisheries, and the other on tourists' willingness to pay fishers not to fish in an MPA. Learn more about this research at https://www.marxivinfo.org/summaries. Who benefits from aquaculture, anyway? + Marine Metaphors. Come learn what's happening this week at OCTO (Open Communications for the Ocean) in our very FIRST podcast.